Revised pro forma financial information relating to the Share Exchange Transaction as of and for the nine months ended September 30, 2017 and the year ended December 31, 2017. See page 2. On November 13, 2018, Future Healthcare of America (“Parent Company”) completed the transactions (the “Share Exchange Transaction”) contemplated by that certain Share Exchange Agreement, among Parent Company and the former shareholders of Natur Holdings, B.V., a Netherlands-based holding company (“Natur”). In connection with the Share Exchange Transaction, the former shareholders of Natur received the equivalent of 215,759,999 shares of the Common Stock of Parent Company (the “Common Stock”), which was issued in part as 115,760,000 shares of Common Stock and in part as 100,000 shares of voting, convertible Series B Preferred Stock of Parent Company (the “Series B Preferred Stock”) representing 100,000,000 shares of Common Stock upon conversion. The Series B Preferred Stock will convert automatically upon Parent Company increasing the number of shares of Common Stock of its authorized capital in sufficient amount to permit the conversion of the Series B Preferred Stock, which it plans to do promptly so as to cause the conversion of the Series B Preferred Stock. Immediately after the Share Exchange Transaction, the former Natur shareholders collectively have a controlling position among the shareholders of Parent Company, and Natur has become a wholly-owned subsidiary of Parent Company. At closing the number of common shares, issued and outstanding was 129,049,192. 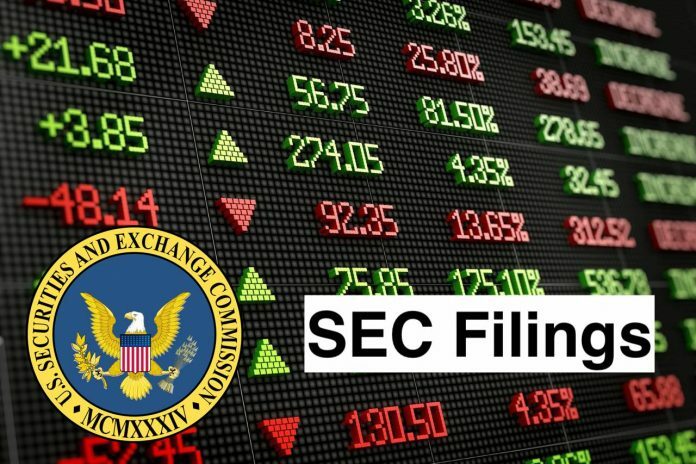 On September 21, 2018, Parent Company also executed a Securities Purchase Agreement (the “SPA”) by which it agreed to privately issue and sell to Alpha Capital Anstalt (the “Alpha”) 2,469.131 shares of non-voting, convertible Series A Preferred Stock, each share convertible into approximately 33,000 shares of Common Stock at the rate of $.030303. Alpha also purchased two warrants, one to the SPA that is exercisable for 33,000,000 shares of Common Stock at $.060606 per share and one to a debt cancellation agreement exercisable for 6,000,000 shares of Common Stock at $.15 per share. The aggregate purchase price for the Series A Preferred Stock and the two warrants was $2,000,000 in cash and conversion of approximately $769,000 of debt and interest due Alpha from Parent Company under a prior loan agreement. Prior to the acquisition of Natur, Alpha also cancelled approximately $651,000 of debt principle and interest due from Parent Company. These transactions eliminated $1,420,000 of debt principle and interest of Parent Company and improved its balance sheet. As part of the SPA transaction, Alpha has also agreed to reimburse up to $100,000 of the liabilities of Parent Company existing at the closing date. In connection with the SPA, Parent Company and Alpha also entered into a registration rights agreement providing for the registration of the Common Stock issuable upon conversion of the Series A Stock and upon exercise of the two warrants. The Parent Company is required to file a registration statement on or before January 11, 2019, and have it declared effective within a stated period thereafter. The failure to observe the terms of the filing dates and effective dates will result in liquidated damages up to an aggregate of 10% of the invested amount. The Acquisition will be accounted for as a “reverse merger” and recapitalization since, immediately following the completion of the transaction, the Natur shareholders and will have effective control of the Parent Company. For accounting purposes, Natur will be deemed to be the accounting acquirer in the transaction and, consequently, the transaction will be treated as a recapitalization of Parent Company. Accordingly, Parent Company assets, liabilities and results of operations will become the historical financial statements of the registrant, and Parent Company’s assets, liabilities and results of operations will be consolidated with Natur effective as of the date of the closing of the Share Exchange Transaction. No step-up in basis or intangible assets or goodwill will be recorded in this transaction. The unaudited pro forma condensed balance sheet as of September 30, 2018 assumes that the Merger took place on September 30, 2018 and combines the historical balance sheets of Parent Company and Natur as of September 30, 2018. The unaudited pro forma condensed statement of operations for the nine months ended September 30, 2018 and for the year ended December 31, 2017 assumes that the Merger took place as of January 1, 2017, and combines the historical results of Parent Company and Natur for the nine months ended September 30, 2018 and for the year ended December 31, 2017, respectively. The historical financial statements of Parent Company and Natur, which are provided elsewhere in this proxy statement/prospectus/information statement, have been adjusted to give pro forma effect to events that are (i) directly attributable to the Merger, (ii) factually supportable, and (iii) with respect to the statements of operations, expected to have a continuing impact on the combined results. The unaudited pro forma combined balance sheet as of September 30, 2018, and the unaudited combined statements of operations for the nine months ended September 30, 2018, presented herein, gives effect to the Share Exchange Transaction as if the transaction had occurred at the beginning of such period and includes certain adjustments within the Stockholder’s Equity section that are directly attributable to the transaction. The actual amounts recorded as of the completion of the Merger may differ materially from the information presented in these unaudited pro forma financial statements as a result of the amount, if any, of capital raised by Natur between entering the Merger Agreement and closing of the Merger; the amount of cash used by Parent Company’s operations between the signing of the Merger Agreement and the closing of the Merger; the timing of closing of the Merger; and other changes in the Parent Company’s assets and liabilities that occur prior to the completion of the Merger. The unaudited pro forma combined financial statements have been prepared for illustrative purposes only and are not necessarily indicative of the consolidated financial position or results of operations in future periods or the results that actually would have been realized had Natur and Parent Company been a combined company during the specified periods. The unaudited pro forma combined financial statements, including the notes thereto, are qualified in their entirety by reference to, and should be read in conjunction with, the historical combined financial statements of Natur, and the historical financial statements of Parent Company included in its Annual Report on Form 10-K for the year ended December 31, 2017 and its Quarterly Report on Form 10-Q for the nine months ended September 30, 2018. [a] – Alpha will pay $2,000,000 to FUTU, of which $181,334 will be used to pay off liabilities of FUTU. Of the $2,000,000 a prepayment was made of $270,005. [b] – Alpha will convert $769,000 of the convertible note into Series A Preferred Stock of FUTU. The remainder of the note ($241,000) plus accrued interest ($410,000) will be waived in part and converted into a warrant in part . [c] – 115,760,000 shares have been issued at $0.001 to the Natur shareholders. Before the merger, the number of shares of common stock, issued and outstanding was 11,266,000. Total number of shares of common stock issued and outstanding after the merger is 129,049,000 at a nominal value of $0.001. Excludes all shares of preferred stock issued in connection with the merger. Future Healthcare of America (FHA) is engaged in providing healthcare services. The Company is focused on its healthcare business, which consists of home health services and staffing in the Western part of the United States. The Company provides its services through its subsidiary, Future Healthcare Services Corp. (FHS). It also provides its services through Interim Healthcare of Wyoming, Inc. (Interim), which operates primarily in the home healthcare and healthcare staffing services in Wyoming and Montana. Interim, an independent franchisee of Interim HealthCare, is a part of the home health segment, providing a range of visiting nurse services to the elderly, wounded and sick. The Company provides home care services, including senior care, pediatric nursing, and physical, occupational and speech therapy. FHA provides healthcare professionals at various levels, including registered nurses, therapists, licensed practical nurses (LPNs) and certified home health aides.